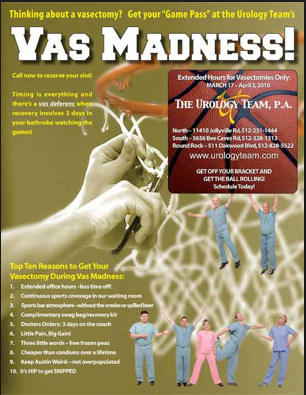 What does March Madness and vasectomy have in common? You probably answered very little. However, many men who opt for a vasectomy as a permanent form of contraception are making the decision to have their “prime cut” this week or next week so they can watch the Sweet Sixteen and Final Four while recovering from the 15 minute procedure that can be easily done in the doctor’s office without a scalpel or without a needle. Many male basketball fans may be looking for the perfect excuse to lounge in front of the television all week. 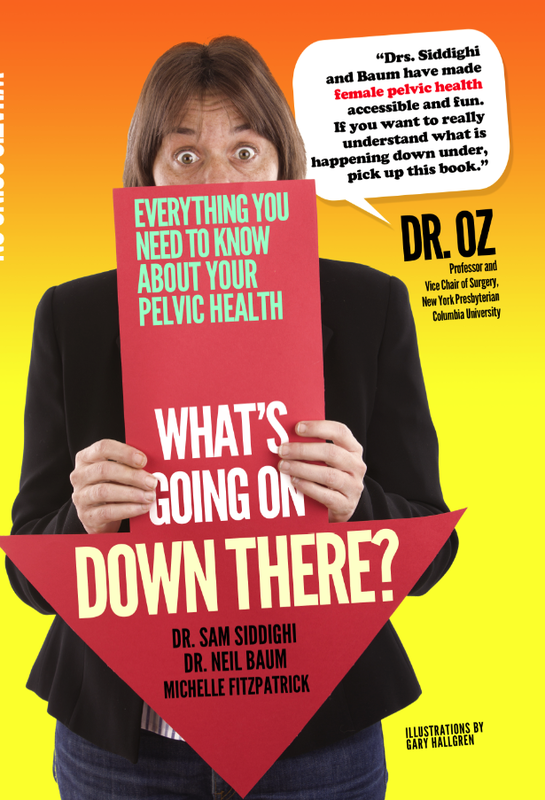 Many urologists, including myself, have the perfect solution: Get a vasectomy. There are practices that offer a “3-Point Shot” plan – one vasectomy, one free pizza, and one weekend excuse to watch college basketball. It is common for many men schedule the procedure on a Thursday or Friday so they can have the weekend to relax. While the NCAA tournament lasts longer than the recovery period for a vasectomy, which is usually 2-3 days, this is a good excuse for basketball aficionados to catch a few games while enjoying uninterrupted viewing of basketball games. So if you want to have a few days to watch the games without interruption, give your urologist a call and arrange an appointment. For more information, go to my website, www.neilbaum, and watch a video about the procedure and how it can be done without pain or discomfort. You are currently browsing the Dr. Neil Baum's Urology Blog blog archives for March, 2013.